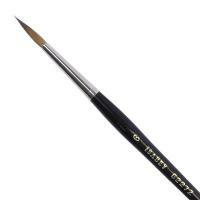 Isabey have been making artist’s brushes in France since 1895. 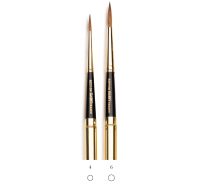 Although the invention of the metal ferrule in the mid 18th century revolutionized the manufacturing process of brushes, the essential techniques have changed little since the 1400’s. 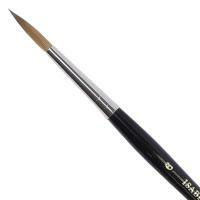 Isabey have helped to keep this traditional and know-how alive. The process of manufacturing Isabey brushes is still entirely manual and the skills required to manipulate fine hairs by hand has been passed down from one generation to the next. The fibres are selected based on their intrinsic qualities. The Squirrel is the finest of all natural hairs, while Kolinsky Sable which is almost as valuable as gold is well-known for its finesse and softness, its resilience and its expressiveness. 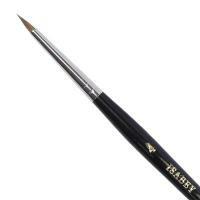 Isabey work with only the most impeccable quality materials. 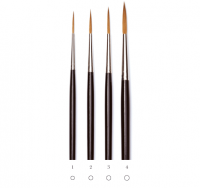 Each type of fibre and each brush shape is used to create a different feel and a different movement.